A dense multi-era drama inspired by the life and works of Virginia Woolf, The Hours is a slow moving three character study revolving around depression and death. After opening with Woolf (Nicole Kidman) committing suicide by drowning, the film alternates between three separate stories. In the early 1920s, Woolf is miserable living in the British countryside, struggling with writer's block and depression as she tries to write the novel Mrs. Dalloway. Her husband Leonard (Stephen Dillane) bears the brunt of her anti-social behaviour, while a visit from her sister Vanessa (Miranda Richardson) makes matters worse. In Los Angeles of the early 1950s, Laura Brown (Julianne Moore) is a depressed housewife reading Mrs. Dalloway. Laura is pregnant with her second child, stuck in bland suburban hell, and no longer in love with husband Dan (John C. Reilly). Laura has a sensitive and precocious five year old son (Jack Rovello), and a glamorous neighbour Kitty (Toni Collette) who is facing her own hell. And in New York City of 2001, Clarissa Vaughn (Meryl Streep) is busy organizing a celebration and party for her lifelong friend and former lover Richard Brown (Ed Harris), a renowned author and poet suffering miserably with the late stages of AIDS. When they were lovers, Richard bestowed the title Mrs. Dalloway on Clarissa. Now Richard is deeply depressed, and forces Clarissa to question her approach to life. Clarissa's partner Sally (Allison Janney) and daughter Julia (Claire Danes) watch as Clarissa's big day disintegrates, and the appearance of Richard's former lover Louis Waters (Jeff Daniels) does not help. 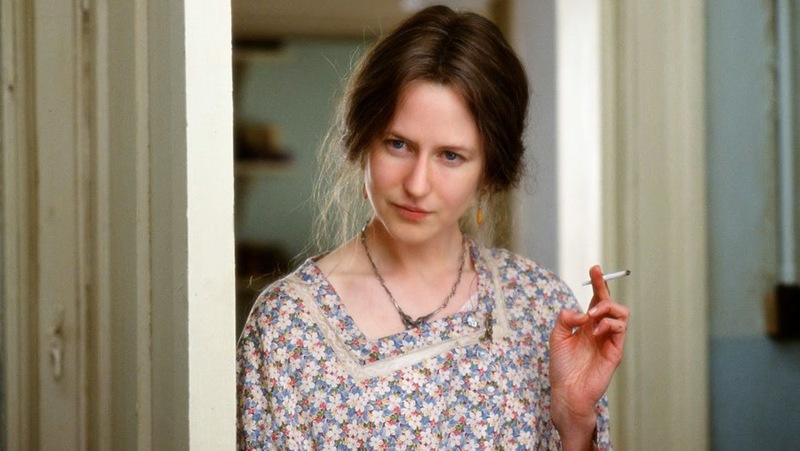 Directed by Stephen Daldry, The Hours wallows in a misery of its own creation. While the three lead performances are perfect, with Kidman nabbing the Best Actress Academy Award, the film is a lengthy, unrelenting treatise on lives stalled at the dead end of severe depression. The Hours starts in a dark place and walks, slowly, into pitch blackness. All three stories unfold over the course of one day, and Daldry cleverly weaves the emotional strings linking the three women, from the depression and death themes to visual parallels and dialogue, with Mrs. Dalloway serving as the common foundation. A vague strand of unexplored lesbian lust also oscillates across the three stories. A more physical connection ultimately emerges between Laura and Clarissa, and overall the film does just enough to maintain interest through the thick fog of despair. Through the dense thicket of tangled negative emotions, relief comes only in the enjoyment derived from Kidman, Moore and Streep, actresses at the top of the craft bringing to life three women struggling against greater forces. Kidman sacrifices her looks with a harsh nose to simulate the common image of Woolf. Her subdued performance is filled with internal struggle and external iciness, a woman content to let her misery drip out and contaminate those closest to her. Moore gets to reveal the least about Laura Brown, a character with hardly any other adults around her to talk to. Brown's day is centred on one major decision, a choice between seeking immediate relief or longer term opportunity. Her son appears to know more about his mother's mental state than most boys his age. Streep's Clarissa is trying to be positive, and she does her best to fend off Richard's choking negativity and carry on. But when misery comes knocking it can be relentless, and Clarissa's big day will see black clouds move across her sun. Ultimately The Hours only finds resolution in various forms of emotional escape rather than difficult confrontation, all three women ending the day staring at future prospects that are at least as gloomy as they appeared in the morning. There are only glimmers of light, and the passing hours serve more to confirm the gathering storm of dejection.